In the video below, 'Aquí la Tierra', produced by RTVE, we got the visit of Mar Villalobos. We explain to her the process of tune cheese up. The following video shows the documentary 'Un país para comérselo' recorded by TVE1 (public spanish television) in Minorca. We had the honor to receive the visit of Ana Duato an her team. The following report, prepared by the Balearic Islands’ public television channel (IB3), shows the ripping process of our cheese. 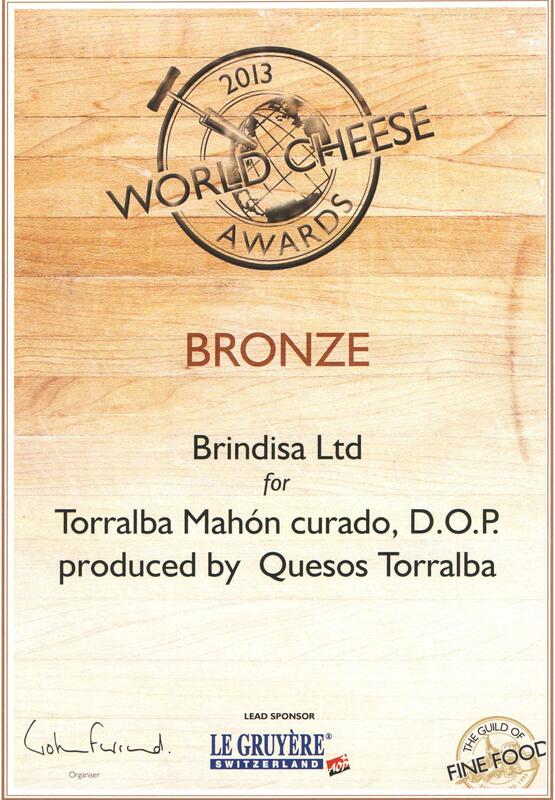 Bronze winner by World Cheese Awards 2013 for our cured cheese. 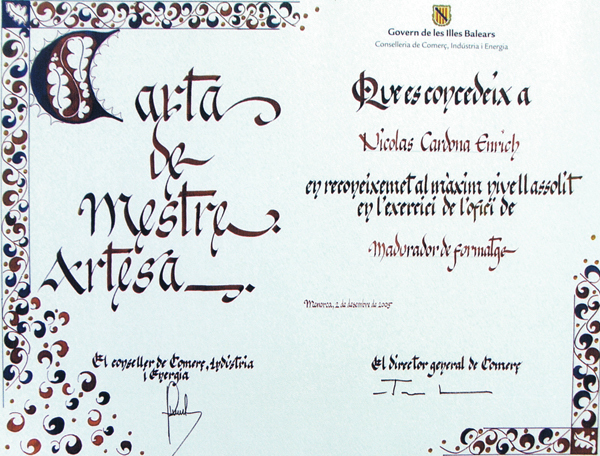 Master Craftsman Letter: title awarded to a cheese producer when he or she reaches the highest level in this craft. Interview published on Menorca’s newspaper “Diari Menorca” about the recognition received from the Department of Trade and Industry. Interview on the magazine 'S'ull de sol' about the riping process of handmade cheese.